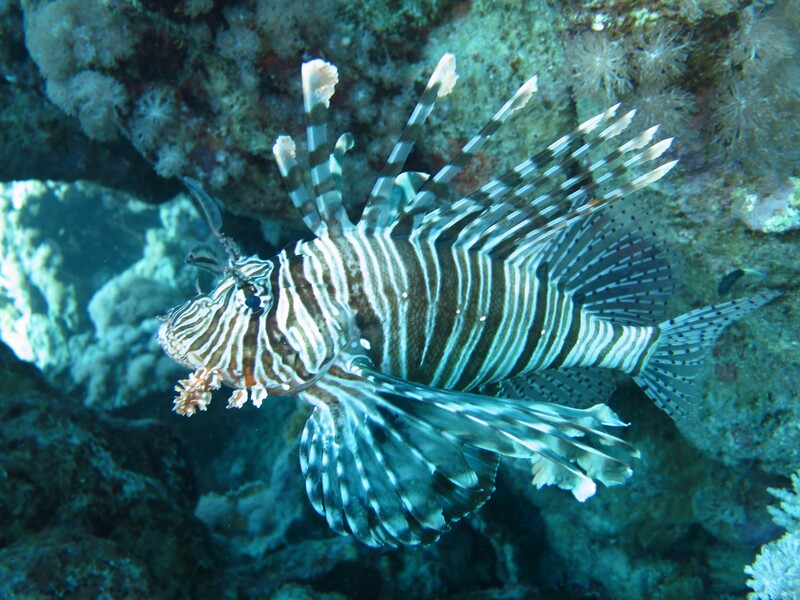 Why a lionfish for my theme photo? This one, appropriately, was photographed in the Red Sea, somewhat south of the scene of God’s great deliverance of his people, the Israelites. The lionfish is my favourite fish; graceful, intriguing, beautiful but not to be trifled with – also its very name is symbolic. The New Testament was written in the common Greek of the day; koine, and the koine word for “fish” is ichthys. The letters of the name are an acronym for Iesous Christos, Theou Huios, Soter, which translates as “Jesus Christ, God’s Son, Saviour.” That’s why the early Christians used the fish symbol to express their allegiance to Christ, the Lion of the tribe of Judah. < Previous Who? What? Why?